"Even without the missing Depay, PSV have proven they can score goals and Heerenveen have tasted victory in five of their last six home matches in the league." After last weekend's 'lucky' 1-0 win over bitter rivals Feyenoord, Ajax will expect an easy three points away to NAC Breda on Saturday evening. The Rotterdammers dominated the whole game with 18 shots against Frank de Boer's men but goalkeeper Jasper Cillessen had the game of his life, denying every chance Fred Rutten's side could hurl at him. The Amsterdammers should have a more comfortable time in Breda however, one guy Ajax will have to keep quiet will be Adnane Tighadouini. The 21-year old Moroccan winger has fired in three goals in six appearances for Breda, which has saw the relegation contenders sit in 12th but only three points off fourth place, in the tight division that is the Eredivisie. Even with one eye on their Champions League contest against APOEL Nicosia in midweek, I anticipate Ajax to win and with the form that Cillessen is currently in, also keep a clean sheet. Ajax to win to nil is priced at [3.2] and could be a great way to start our weekend in the Dutch top flight. Go Ahead and Feyenoord have already met each other this week in the Dutch Cup, which saw the Eagles of Deventer run out 2-0 winner over Fred Rutten's men, which puts the head coach under tremendous pressure with just two wins in 12 games of the season in all competitions so far. With his job under scrutiny, Rutten like last week cannot lose this game and will feel hard done after bossing Ajax for the whole 90 minutes last Sunday. However, performances do not win points and the manager will need the likes of Mitchell te Vrede, Colin Kazim-Richards and Jean-Paul Boëtius to start finding the net, to move up the league where they currently sit in a horrific 15th place. Foeke Booy's Eagles are in a similar position, one place above in fact, and need points themselves but will find it hard with main threats Lesley de Sa and Deniz Türüç absent with injury. Look forward to a close match with the raucous atmosphere of the Adelaarshorst providing the soundtrack. The Draw is at [4.0] and could provide some real profit come Saturday night and place Rutten in the jobcentre queue come Monday morning. On Sunday afternoon, in what could be the game of weekend, I would expect goals galore as fourth takes on first when Heerenveen host the free-scoring PSV Eindhoven. The visitors have been victorious in seven of their last eight games and they returned to winning ways in great fashion with a 4-0 win over SC Cambuur at the Phillips Stadion last weekend. Many Eindhoven fans feared the worst when they lost Memphis Depay to injury in their only defeat of the season against PEC Zwolle. 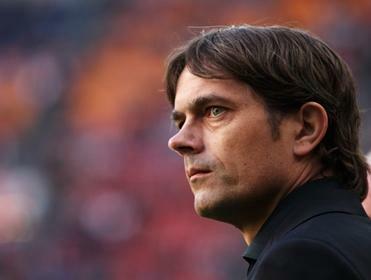 However, Philip Cocu's men served well last week with a 1-0 win in Europe over Estoril and as mentioned before smashed four past Cambuur, who themselves have had a good season so far, sitting in fifth place. Heerenveen coach Dwight Lodeweges should be proud of his side, after the summer sales of Hakim Ziyech and goal machine Alfred Finnbogason, De Superfriezen have eleven points out of six games and are pushing the top three. Young German striker Mark Uth and 19-year-old playmaker Daley Sinkgraven have impressed and Cocu will look to defensive pairing Jeffrey Bruma and Karim Rekik to stop any assaults from them. Even without the missing Depay, PSV have proven they can score goals and Heerenveen have tasted victory in five of their last six home matches in the league. The result may be too close to call, however you can back Over 3.5 Goals on the exchange at [2.4] and I see this price too good to ignore.